True, I visited the Leonard J. Buck Garden in Far Hills, New Jersey just a few days ago. However, A) I was teaching a class today, and B) at this time of year just a few days make a big difference in a garden. Leaves are unfolding on the trees, plants emerging, flowers blooming. It is always a delight to teach a class where - weather permitting - we can go out on the grounds to observe and discuss the topic of our study. Today's subject was "On the Rocks", about plants and ideas for working with stones in the natural or created rock garden. In the interests of full disclosure, let me tell you that I'm a life member of the North American Rock Garden Society and chairman to the Watnong (New Jersey) chapter of that organization. 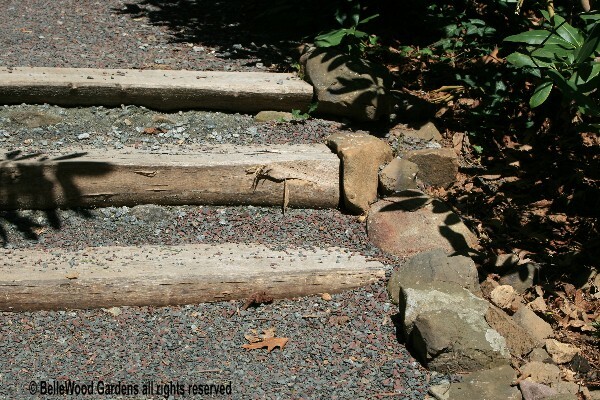 So it is a real pleasure for me to speak on this topic, and share my enthusiasm with gardeners who might be interested in having a rock garden of their own. 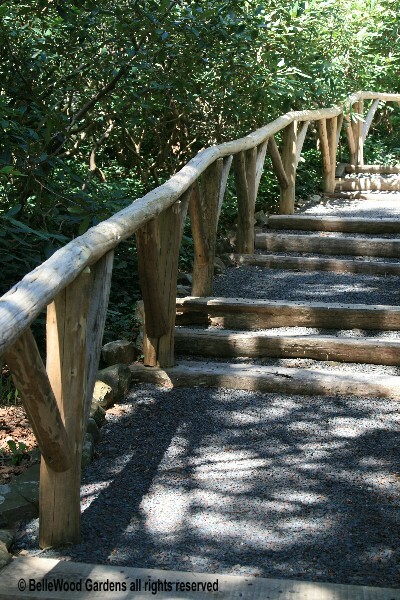 Especially when the class is here at Buck Garden, renown for rock gardens of its own. Lecture, discussion, slide presentation, and outdoors we go. Down the steps beyond the visitors center. from spilling away and the edging suggests - walk here, not there - in an unobtrusive manner. 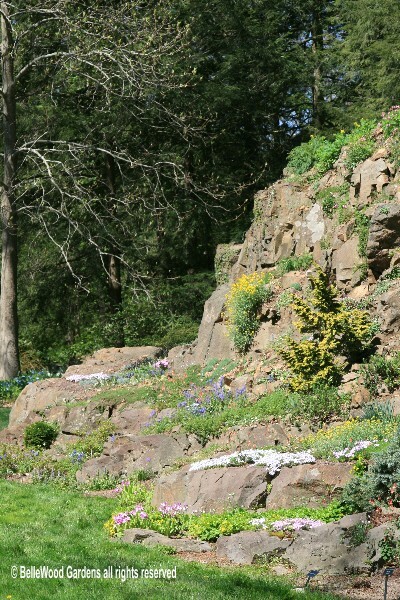 There is a difference between "alpine gardening" and "rock gardening." New Jersey is definitely below the tree line of the high mountains. 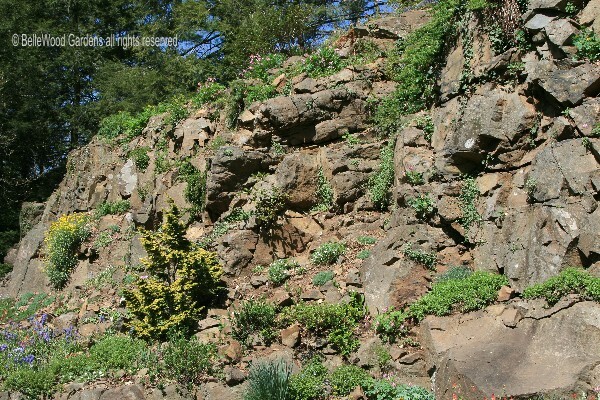 At our lower elevation there are rocks and plants that thrive among them. 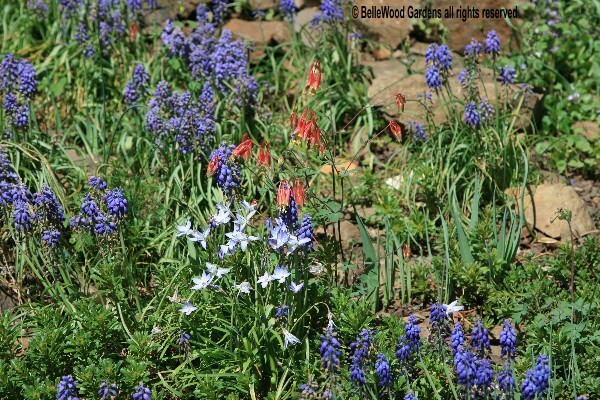 Expanding the boundaries, rock gardeners also enjoy gardening with low growing perennials and woodland plants. 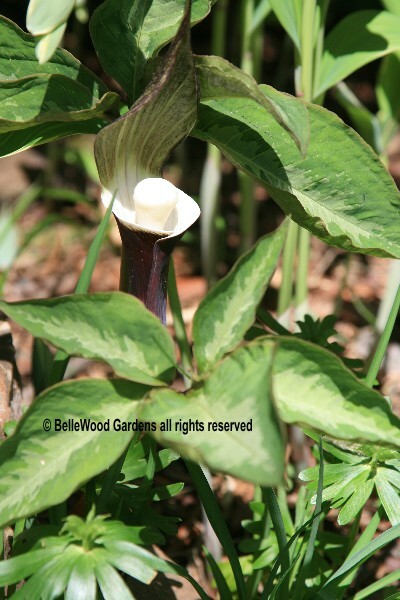 Arisaema sikokianum, cousin to our native species. 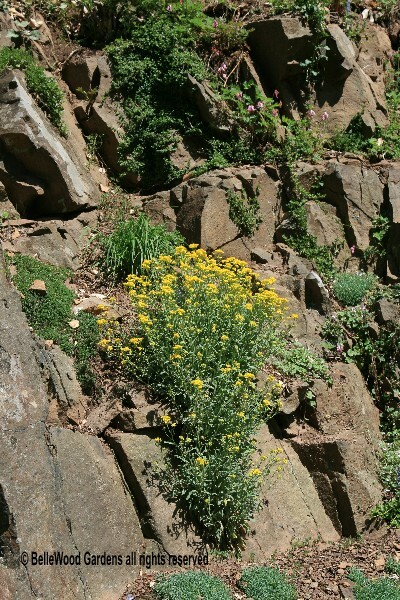 are like giant steps, and crevices are home to plants that thrive on them. 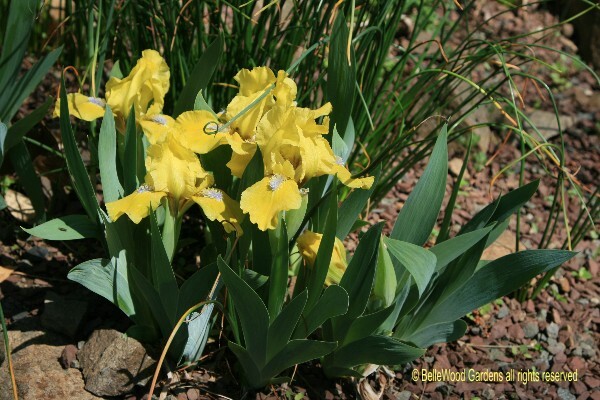 April is a wonderful time to visit Buck Garden as spring is in full bloom. from which to choose. 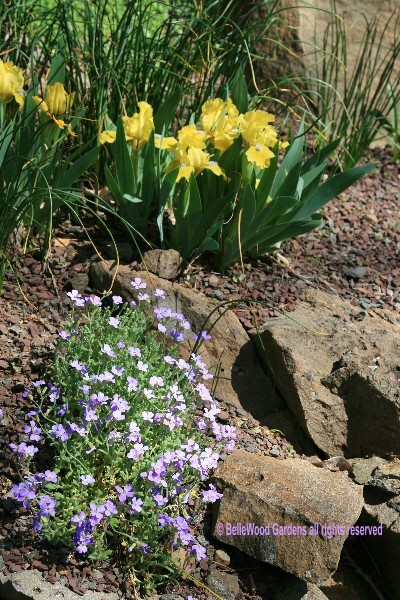 About the only plants you don't often find in a rock garden are annuals. and the charming dancing red flowers of our native columbine, Aquilegia canadensis. consider this: as a species name, saxatilis means "found among rocks." of basket of gold may be poetic but doesn't offer any suggest on where it grows. in bloom just last Tuesday. Less than a week ago. What a treat. Sunny in color, sunny the day, and sunny my response to these sturdy little flowers growing among the rocks.